I only met Ron Conway once. He was an early investor in Datahug and when I met him it was at his home in San Francisco. This was not your normal investor meeting. It was all about introductions and understanding who I wanted to meet. It was sublimely simple yet hugely effective. Just in case you haven’t heard of Ron Conway, he is probably the most famous and successful angel investor in Silicon Valley. He was an early investor in Google, Facebook, and Twitter and is an institution in Silicon Valley. Therefore, it was no surprise that we were delighted to have him as an investor and pretty nervous that we were about to meet this living legend. Ron was very calm, laid back and friendly. He mentioned his Irish roots and that he had recently met the mayor of my hometown, Cork. I joked that since our vision involved unlocking relationships that someday “Datahug might build an automated version of Ron Conway.” I didn’t get the laugh I was expecting… Oops. Ron had several sheets of paper in front of him. Each of those sheets contained about 50 names. Every one of those names was a top tier VC, Angel or Corporate Dev Lead. This is when I discovered the power of having Ron Conway as your Angel investor. And that was it. Five minutes later we were back outside his apartment armed with 10 hugely valuable introductions to key Silicon Valley insiders. We leveraged these introductions to build momentum, secure early customers and gain valuable insights into our markets. They made an impact on our business and I will be forever grateful and a fan of Ron Conway. I’ve not met with Ron since, but every now and then I’ll reach out to his team with an introduction or request for help. They are always responsive and great to engage with. As an investor, and former founder, I want to add value like Ron Conway and his team did for us. I want to #GiveFirst and help other founders succeed where I can. I’ve been lucky enough to witness how one or two well-placed introductions have helped founders raise capital, win customers, and build their teams. The answer to this question often triggers connections in my head that I would never have considered. You often don’t really know how you can help until somebody asks. The answer gives me a better sense of ‘directionality’ for how I might help. For example, I recently spent time with a great founder in Bulgaria. We had a great chat and at the end, I asked my usual question. He immediately replied that his dream introduction was to the founders of Hired. I had randomly bumped into that founder twelve hours earlier and was able to take out my phone and connect them straight away. I would never have thought about connecting them until he implicitly asked for it as I had failed to see the connection (which became blindingly obvious when he explained why). They ended up hitting it off and spent several hours together which has led to more follow on introductions and meetings for that founder. I have learned so much about founders by how they answer this question. It’s fascinating to hear about the types of people they want to meet. It’s also a really great way to gauge how focused and up to speed a founder is on their sector. Founders who can’t immediately answer this question with conviction immediately raise a red flag for me. You also learn a lot about the founder when they explain why they want to meet X or Y. You will remember really specific asks like ‘I want to meet owners of NFL or NBA Teams.’ It could be four months after you’ve met the founder when you might randomly bump into the person (or type of person) that the founder wanted an introduction to. These specific introduction requests always stand out in my mind and it’s a great way to reconnect with a founder by helping them with an introduction several months later. This proves to founders that you listen to them and genuinely want to help and support them. The best introductions are where both sides of the introduction benefit. By making highly targeted introductions you help create genuine win-wins. For example, other investors are often very grateful for targeted introductions to Founders who you are working with. The same is true for potential recruits, customers, and partners. I’ve always been impressed by how Techstars has built their whole culture and reputation around this #GiveFirst mentality. Call it karma but being helpful today is probably the best long-term strategy to being successful as an investor in the future. 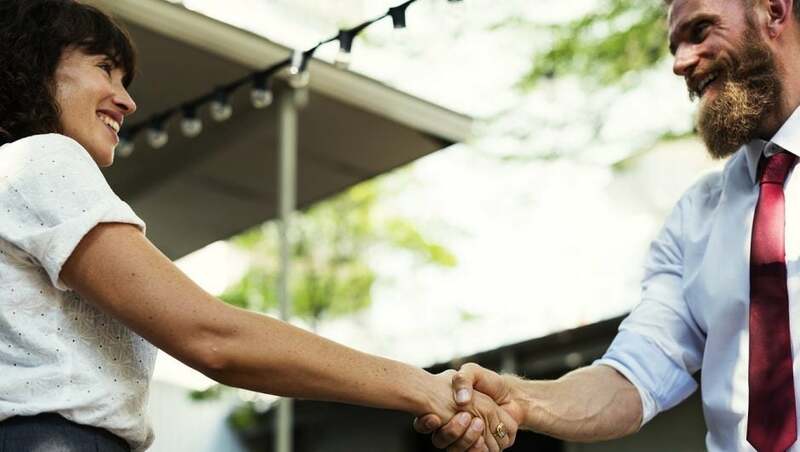 Helping founders with introductions is not just good business but equally rewarding on a personal level when you can help entrepreneurs succeed. Ron Conway and networks like Techstars are testaments to this simple, but often neglected, way of giving. It’s so simple to ask, can be hugely impactful, and costs very little in terms of time to execute. I’d encourage you to include it in your next mentoring conversation. Investing in B2B SaaS & machine learning @Techstars. Founder and ex-CEO @Datahug (Acquired by $CALD). Computer Scientist.